This wood and brass magazine holder allow its users to make a style statement while also letting them to store their magazines. 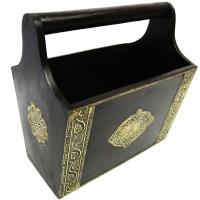 This Wood and Brass Magazine Holder is suitable for allowing its users to make a style statement while also putting it to great practical application. Read More..The unique combination of bras and wood in its body lend such a mesmerizing effect on this magazine holder that it is bound to accentuate the visual appeal of any wall space that it occupies. 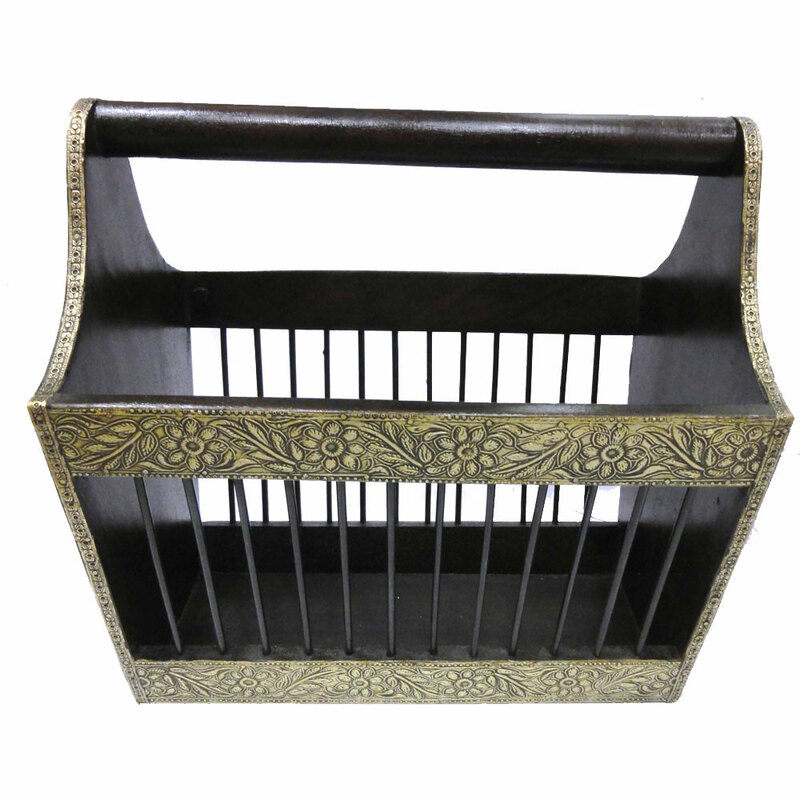 Therefore, this Wood and Brass Magazine Holder is ideal for use as a place to keep all the magazines while also being a first grade accessory for beautifying the home interior. Show Less.. 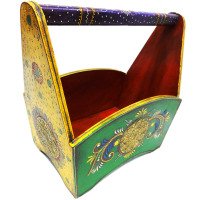 This diwali gift this beautiful wooden magazine holder with brass work to your loved ones and help them organize the magazines aesthetically . 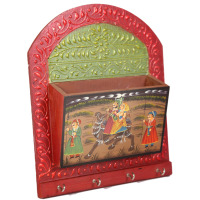 The colorful magazine holder crafted in wood can make a very lively addition to any wall it adorns. The convoluted self-carvings on the border and also the splendid hand paintings on the front of the magazine holders increase its beauty. 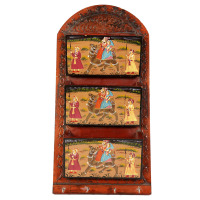 The wood frame is adorned with self-carving; the front of the magazine holder is adorned by a good looking ancient painting. 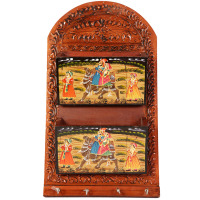 The key holder conjointly has 2 cavities for putting magazines each of that area unit adorned by stunning hand carvings along side four hooks for holding keys.